Question: How many varieties of vinegar do you offer? A: We currently offer 25 varietals for both commercial kitchens and professional chefs, as well for the home chef and foodies. Question: Are you creating any new varieties? A: We are always considering customer requests and continue to experiment with innovative ideas and recipes. We focus on showing how to use vinegar to create healthy dishes that are exciting and bring out the most flavor. We just introduced our Quatro Pepe/Garlic Vinegar and California Citrus Vinegar. In addition, Peach Champagne has been reinvented into California Peach with a true and bright taste of fruit. A: Quality vinegar like Sparrow Lane does not add colors, flavors or other unnatural additives that are often found in mass produced vinegar. 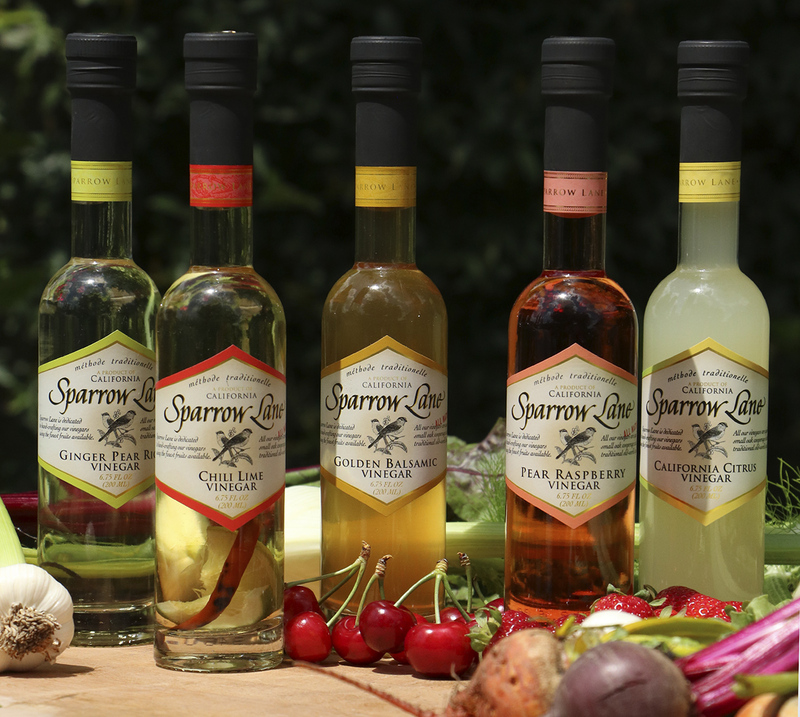 When using Sparrow Lane Vinegar as an ingredient, you can cut back on the salt or eliminate it all together. Being well balanced, this brings out the true, natural flavors in your favorite recipes. Question: Where can I buy your product? A: We are located all across the US! Below is a map of all the places you can find our vinegar and oil!